As an adult do you sometimes feel like an unloved child? 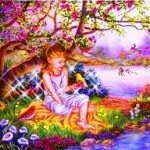 What is energy healing and how can it heal your wounded inner child? Eric Robins, M.D. says, Someday the medical profession will wake up and realize that unresolved emotional issues are the main cause of 85% of all illnesses. In the previous article Self-Esteem: What is the Effect of Sexual Abuse on Your Inner Child I discussed abuse. Also, in Healing Your Inner Child: Feeling Your Feelings I gave some ways to begin healing your inner child. One way involves finding an energy healer who has done their own emotional healing to assist you. What is energy healing and how can it heal your wounded inner child? Remember as an adult our wounded inner child lives within us as parts of ourselves as we were as young children. Aspects of our inner child may have separated from our being because of trauma. Our inner child represents us as a child, a child who was possibly ridiculed or abused. The inner child lies trapped between the ages of birth to adolescence. The inner child’s psychological nature consists of childhood negative and positive experiences, emotions, and self-worth. 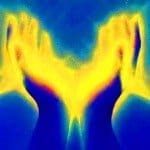 Energy healing, in healing the inner child, uses a connection to the energy of the Divine and the soul, which flows through the healer and into the client to release energy congestion’s on the mental or emotional level, which then vitalizes the mental, emotional, or physical bodies. This energy healing heals emotional abuse and stress, dissolving the emotional causes behind most physical pain. 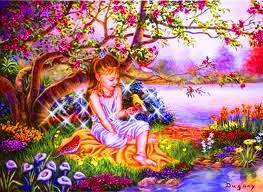 Psychological understanding and energy healing combine in healing your abused inner child. Soul retrieval may also be necessary for gathering back lost parts of your inner child who has split off because of trauma. When healers connect to their souls, higher beings such as angels, archangels, spiritual masters, and the energy of Divine Source can come through. As a conductor of these energies, they work in the client’s energy field to assist in the dissolving of mental, emotional, and physical congestion, pain, and trauma. Energy healers learn how to bring healing energy from Divine Source through their bodies into a client’s body. 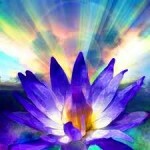 This positive energy flows through your body healing physical, emotional, and mental pain and wounds. Find someone, as I said before, who has done their own emotional healing, understands the workings of the inner child, and you can trust. 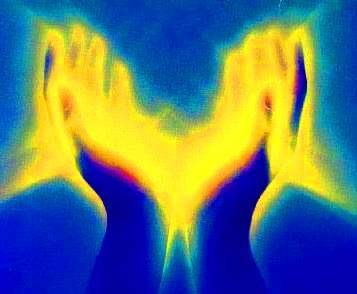 An energy healer can touch your body or simply radiate and hold the energy for your healing. Discuss some of your history of abuse and decide what core issues you want to begin to heal. For instance, recall what people and events push your emotional buttons i.e., activate reactions from past memories and trauma. Then set your intent for healing for the session. During the session, as you lie fully clothed on a massage table, stay present in the moment and notice sensations in your body as energy flows into you. As an abuse survivor you may feel little or numb in parts of your body. Know these feelings may indicate you have shut down sensations in these parts because of trauma. Eventually, as energy begins to unfreeze the trauma and trapped emotions in these areas, you will begin to feel more. Pain may increase, temporarily, as it releases. You may feel an increase in heat, cold or energy sensations in different parts of your body as the energy healing progresses. Different emotions may arise such as anger, fear, or rage. 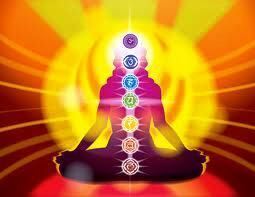 During the course of an energy healing session stay present with the sensations in your body. Be present with whatever emotions emerge. The only way out of your trauma lies through feeling your feelings regardless of the level of your fear and pain. Your other choice is to continue living with this pain within yourself. 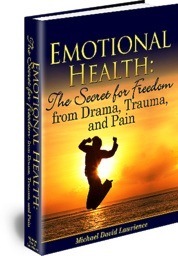 The trauma and abuse your inner child suffered for years stays trapped in the physical body. It takes time and multiple energy healing sessions to heal each core issue of abuse. If ignored your child hides in a corner of your psyche until something triggers his or her pain. Their emotional reaction can sabotage your success if the child’s intent differs from your conscious intent. 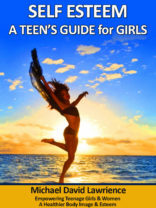 The first three energy centers connected to our body – the tailbone, below the navel, and the abdomen – can contain a great deal of the pain of the inner child. These centers carry our fears, anxieties, and sorrow, which make up the life of an unloved child. As the inner child heals, our heart opens more reaching out to others with loving arms. Our inner child yearns for us, as the adult, to hear, love, and heal them. When we choose to continue to ignore that undeveloped emotional part of our self, than our inner child will continue to run our life without us being conscious of this. We have a choice. We can continue to react and keep doing the same thing over and over and expect different results or we can choose growth and healing for our inner child and emotions. In your healing seek an environment of unconditional love. When you walk through the door of an energy healer you want to feel an air of unconditional love and nurturing. Our inner children want to feel safe as if wrapped in the arms of a loving mother. When our inner child feels safe, she or he can move into higher levels of joy as fears lift. Fears separate us. Until we fully heal, a part of us will feel like an unloved child. Releasing all the issues of abuse and hurt, the inner child grows closer. This adult opens in childlike wonderment to all life. Do you want happiness, health, and success? Do you want to stop the sabotage of your goals? Do you, as an adult, sometimes feel like an unloved child?